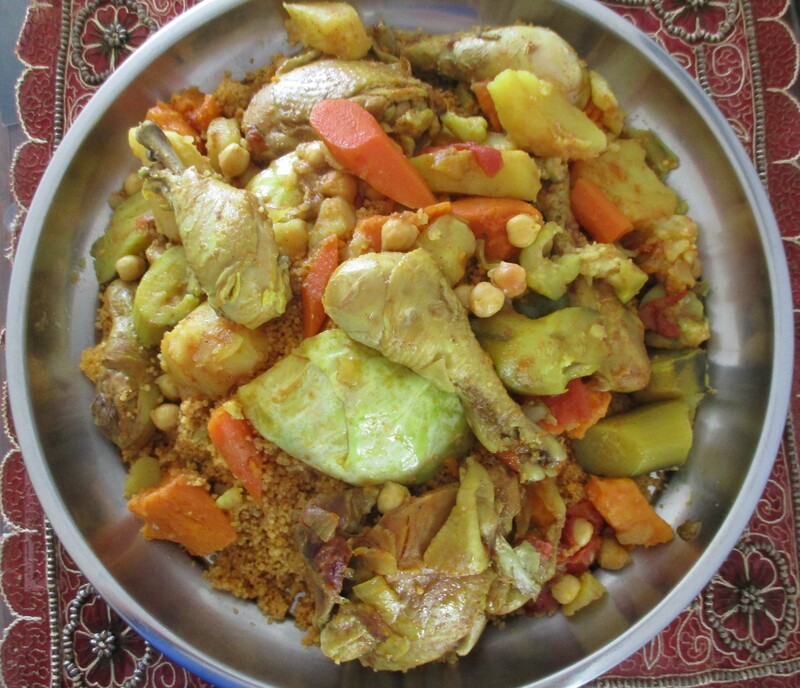 There are many ways to make CousCous. I met a dear and sweet lady named Suad (originally from Morocco)on the compound in Riyadh, we became fast friends. She made CousCous and of course it was delicious! She asked me to her house one day to watch her and I learned how to make a lovely version that I still make today. 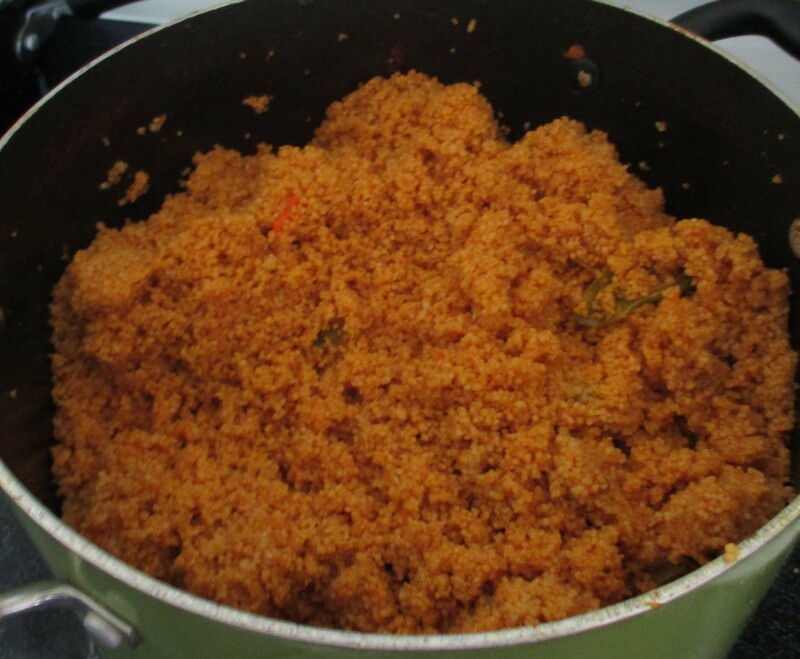 Years after that, a Lybian friend made a wonderful red,spicy CousCous which I fell in love with! Both types of Cous Cous are tasty and lovely but my kids always ask for this red, spicy variety. So, here is my recipe. Keep in mind this has been adapted, my friend had steps that were difficult for me and so I am making it my way. Peel potato, carrots, zucchini, and sweet potato. Chop onion and garlic. Wash and chop all vegetables. I like to cut them into large chunks. Place onion, garlic and chicken in large pan. Put a little olive oil and start sauteing. Add water, (enough to cook the chicken, vegetables and have left over broth!) spices and tomato paste. Bring to a boil, turn down heat and keep a low boil going and cover. Let the chicken cook. when the chicken is totally cooked, turn off heat. Remove chicken from broth and set aside. Strain liquid to make sure there are no pieces of fat or bone. Add vegetables to liquid and bring to a boil, turn down heat, cover and simmer for about 20 minutes until vegetables are well cooked, add drained garbanzo beans to liquid and cook a few more minutes. 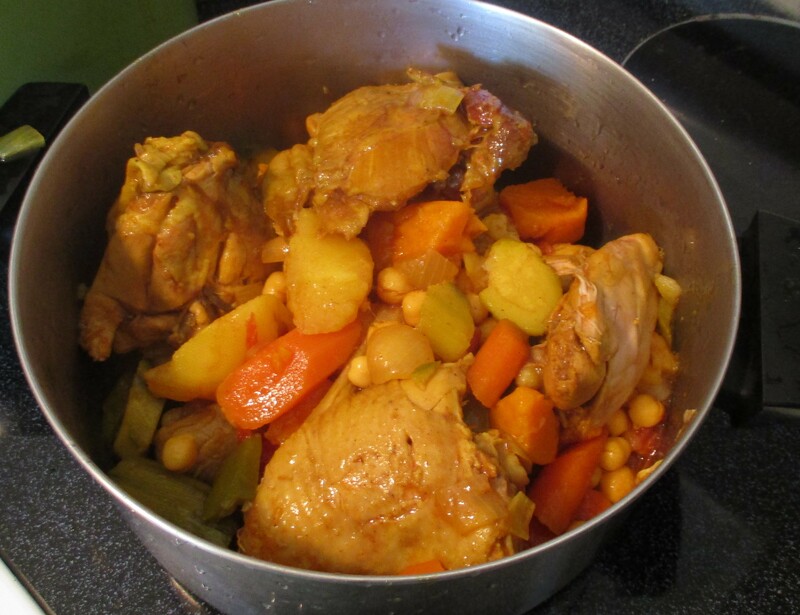 Turn off heat, remove vegetables to a pan. Measure out liquid for CousCous. 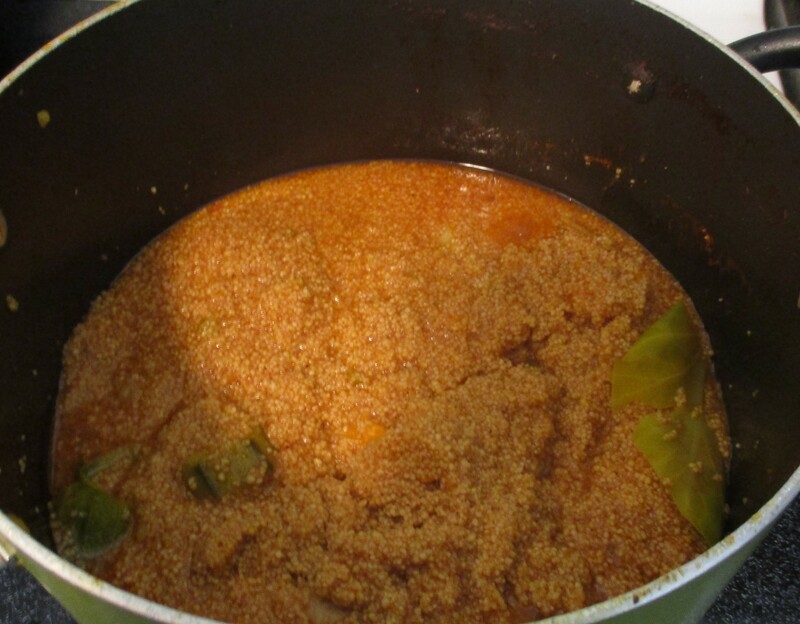 My friend made the Cous Cous in a more traditional way but that was too complicated for me. So, I use the box of plain CousCous and follow the instructions for adding liquid and measurements. Use the spicy,red broth to make your CousCous. Follow package directions for measurements and cooking times. After it is done, fluff it and drizzle a little olive oil and stir it to keep it from sticking. 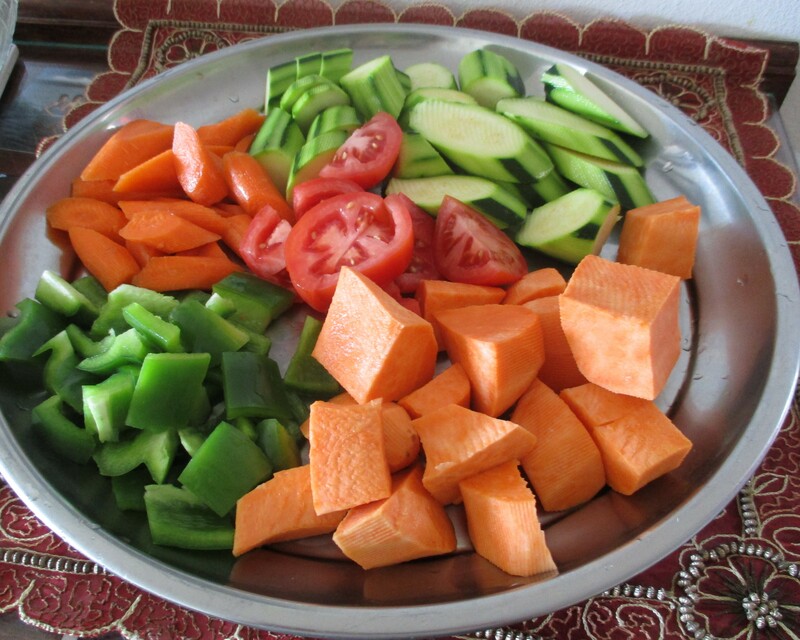 Spoon CousCous onto a serving plate and arrange cooked vegetables around and on top.